Lovers of contemporary architecture will feel right at home in McLean as this DC suburb is one of the region's hotbeds for modern architecture. The rolling hills and wooded landscape found throughout McLean create the perfect backdrop for unique and architecturally interesting single-family homes. 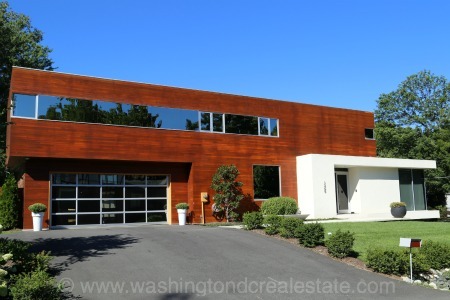 Contemporary McLean homes are available throughout the community including properties on Crest Lane and Chain Bridge Road with stunning Potomac views and frontage. Renown architects specializing in contemporary, mid-century modern and modern designs have made a permanent imprint on the McLean housing landscape.